It’s not all work, work, work! 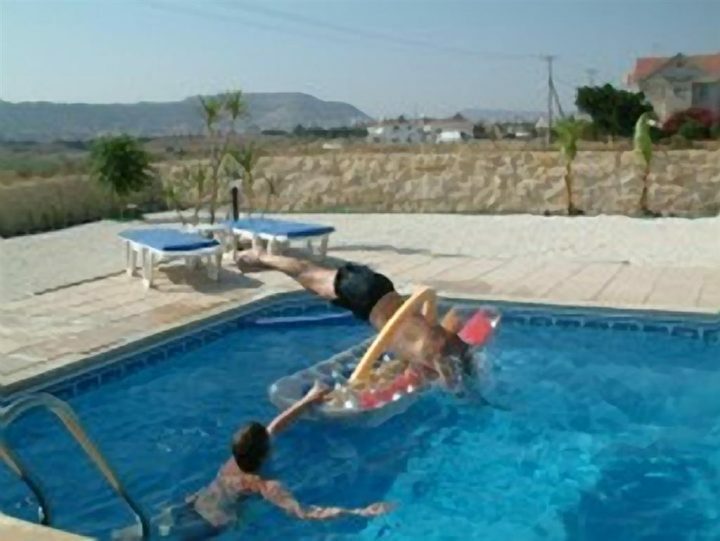 During a recent ‘committee’ meeting, MCPS website designer, Mark (in the pool) was helping Tony, husband of MCPS website manager and email correspondant, Caron, perform death defying stunts through hoops of fire (polystyrene worm thingies) into the pool. We constantly need funding to help us help the cats in need in Cyprus. If you would like to help by donating some money, we will gladly help with any advice you need on pool games!! Either click on the link on the left to donate online or email us at catsanctuary@hotmail.com. Previous post Malcolm Cat Protection Mouse Mats!